Art © Donald Judd Foundation/ Licensed by VAGA, New york, New York. Photograph by R. H. Hensleigh. 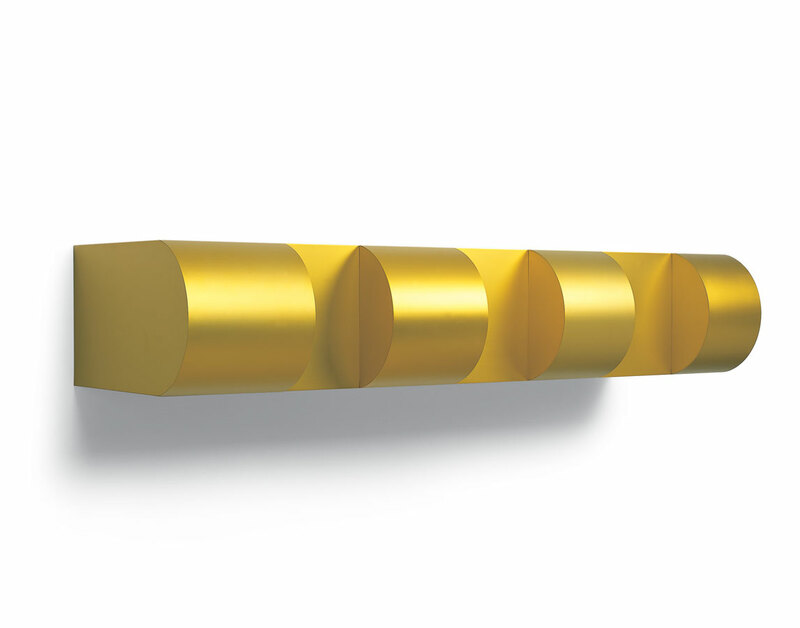 The coolly elegant sculpture of Donald Judd has become an anchor in every significant museum collection of contemporary art. Considered the progenitor of Minimalist sculpture, he proposed a new vocabulary of non-art materials and processes that were in direct opposition to the emotive Abstract Expressionist work that he encountered in the 1950s. His education in art history and philosophy helped develop his interest in what he termed “specific objects,” which gave rise to his systematic method of making pure and ordered forms. By incorporating geometric formulas to determine the physical form and utilizing plywood, Plexiglass, cast steel and extruded aluminum that were commercially fabricated, Judd reinvented conventions of beauty that were rapidly adopted by other artists. While the stacked boxes on the wall are his most widely recognized works, this Untitled piece also incorporates Judd’s signature ability to establish negative space as a tangible presence. Like the concept of “ma” in classical Japanese architecture and music, “the space between” evokes the beauty of silence and nothingness.